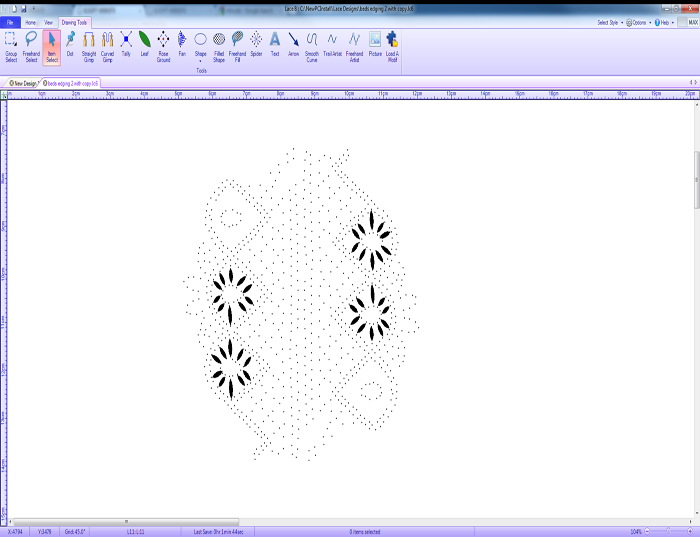 The Lace8 site is here to bring you all the latest details, updates and customer information about IlSoft brand new, innovative and powerful bobbin lace design software. Lace8 brings you all the tools and features necessary to turn your ideas in a professional, clean lace design giving you more power over your creativity. Please visit Lace8 @ IlSoft for more details on the product features and purchasing.